The SwingFit training program is designed, tested and optimized specifically for baseball and softball athletes. 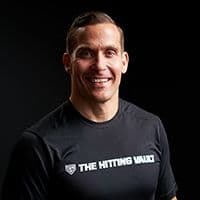 Developed by The Hitting Vault, SwingFit provides 60 new videos and 2 different 8 week training programs creating a blueprint for unlocking your power. You can start your 8-week training any time and can go through the program as many times as you’d like. any athlete that wants improve their game, be a better hitter or all around better athlete will see tremendous results from this program. The SwingFit focus is on core strength and stability with the ultimate goal of developing hip power and explosiveness, as well as overall strength and symmetry amongst muscle groups. This program is is built for elite level baseball and softball players, as well as younger recreational players. What Programs does SwingFit offer? SwingFit has two programs to offer at this time. Both for elite level athletes with access to gym equipment, and athletes with limited access to gym equipment and resources. For athletes that can commit 3 days a week to training at home or outside of a gym environment. This program is perfect for younger athletes or athletes without standard gym equipment. SwingFit is more of a ‘bodyweight’ type of program and very suitable for our younger athletes. This program is for the athlete that has 3 days a week to commit to training and has a facility to train in (complete with weights, squat racks, medicine balls, dumbbells, kettlebells, etc). This is our most comprehensive training program. What can I expect from the SwingFit program? Warmup: consisting of dynamic warm up, jog, row, etc. Movement Prep: core work, supersets, single arm/isolation movements. Example- 3 Sets of alternating between 30 second bent hollow hold and 5 reps/arm of kneeling single arm dumbbell press. Strength: 4 sets of 5 reps of narrow grip bench press, superset with weighted goblet squats. In SwingFit Elite, the program looks similar, but we’ll utilize gym equipment and the movements will be more advance. Coach Stavros Kalogirou “Coach Stav” works with athletes across many sports, helping them unlock the strength and performance they need to get better. After graduating at St. Mary College in Moraga, CA he opted for public service with the city of Santa Rosa in the fire department. Coach Stav has trained and competed in the sport of CrossFit for many years, competing on a regional level multiple times. He’s a sponsored athlete for Nova 3 Labs, Promixnutrition. Coach Stav has been the catalyst and trainer leading many athletes to optimize their bodies for their sport. Coach Stav and Coach Lisle worked to develop strength in core areas that hitters rely on for power, quickness and balance. The SwingFit training program is designed, tested and optimized specifically for baseball and softball athletes. Coach Stav is a Certified ACE® Personal Trainer.